This summer, the floors outside the cafeteria and auditorium were remodeled. 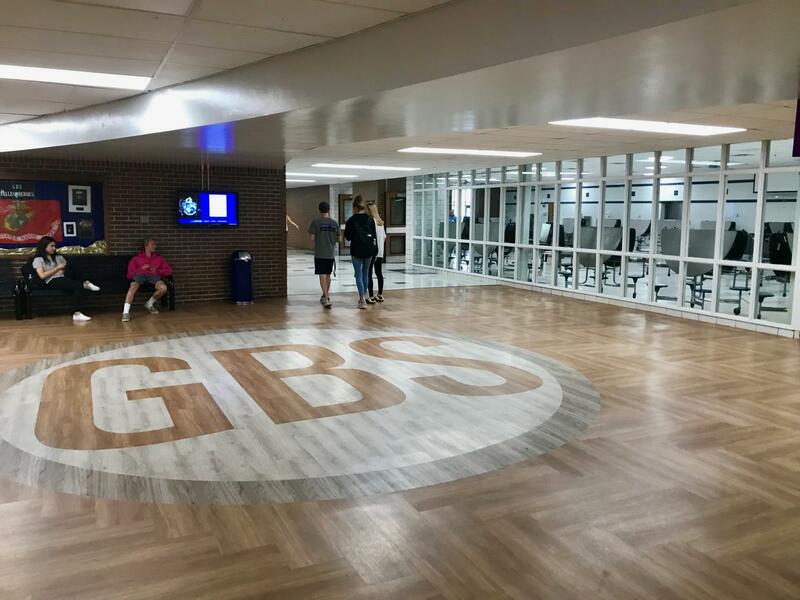 Over the summer, the GBS administration responded to failing structural integrity by replacing the floors near the auditorium and cafeterias as part of South’s ongoing Life Safety project, according to Casey Wright, associate principal for administrative services. The goal of the Life Safety project is to prevent structural failure of the building and avert injuries of students and faculty, Wright says, and funds are allocated specifically for these enterprises. New carpeting was laid down, as well as luxury vinyl tiling in specific portions of the school. 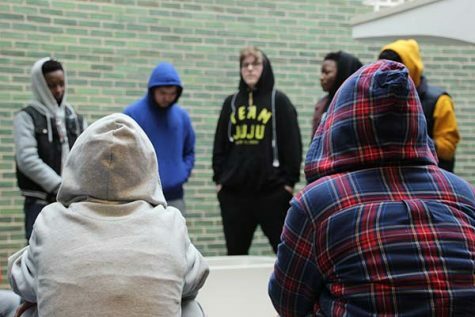 “Outside the auditorium there was an area that was sinking… We needed to tear up the floor and investigate that… and it was an opportunity to put more flooring down,” Wright said. 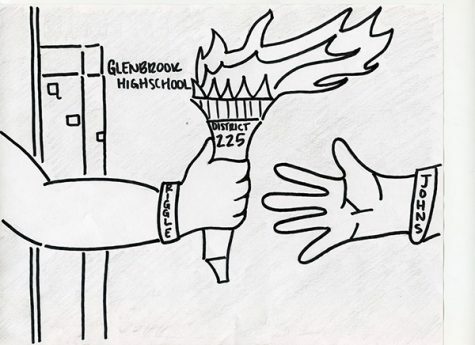 GBS students have not received word that the renovations were a safety necessity. An unscientific survey of 283 students conducted by the Oracle revealed that 80 percent of people thought that the flooring changes were unnecessary. Sophomore Cathy Choi is part of this majority, but she believes there are also perks to new flooring, such as sanitation. 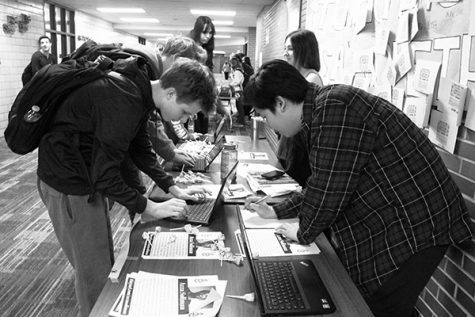 “I don’t think this was a strictly necessary change, since the old floors seem to work just fine in other hallways, but I imagine the new floors are easier to clean and it does look nice,” Choi said. Besides this, student reception of the floors have been generally negative. An unscientific Oracle survey of 349 students revealed that 37 percent do not like the floors. Junior Joanna Skorupa feels especially that the design is aesthetically unappealing. Wright says that the carpet pattern was chosen with the guidance of ARCON, a company that provides architectural and construction related services, and is meant to reduce the visibility of scuffing and stains. “This was a darker color… with some light coloring in there that wouldn’t show the wear, so over time when there’s lots of traffic you’re not going to see the wear…,” Wright said. The new carpet is laid in planks, in comparison to the old carpet that was one continuous strip, in order to increase the ease of low-cost maintenance, according to Wright. If the carpet needs replacement, only the affected plank needs to be torn up. Wright says that the luxury vinyl tile area outside the auditorium creates the feeling of another room for students. In the future, to add to this student space, new furniture options are being considered to replace the benches, according to Wright. “The next step is to explore different seating options, so the idea is rather than just the benches, are there other things we can do in that area maintaining the amount of seating but maybe different options for seating,” Wright said.